The remaining absentee ballots in two tight Fairbanks legislative races went in opposite directions today, sealing a win for Democrat Scott Kawasaki in Senate District A and giving a 5-vote lead to Republican Bart LeBon in the race for House District 1. Kawasaki now holds an insurmountable 186-vote 172-vote 161-vote 173-vote lead over conservative Republican Senate President Pete Kelly, extending a 152-vote lead he held after questioned and early votes were counted on Tuesday. Democrat Kathryn Dodge lost ground against LeBon, going from a 10-vote lead on Tuesday to a 5-vote deficit. A full vote tally should be available later today. There’s no word on remaining ballots in the hands of the Division of Elections, but according to the division’s count of ballots House District 1 has a maximum of 68 by-mail ballots that were requested, but not yet returned. House District 2 has 29 such ballots. Today is the deadline for the state to receive absentee ballots mailed from U.S. addresses. The final deadline for overseas ballots to arrive is Nov. 21, which is when the division expects a final count of the race. If 100 percent of those ballots arrive and 100 percent of them go to Kelly, Kawasaki would still hold an 89-vote lead over the Republican. Kawasaki’s victory marks the only Alaska race that Democrats successfully flipped from Republican in the 2018 elections. His win is a bittersweet one for Democrats, who saw several stinging defeats on every level of the ballot on election night. It brings the total number of Democrats in the Senate to seven (though Democratic Sen. Lyman Hoffman has regularly caucused with Republicans and is expected to do so again). Though it’s not likely to shift the power of the Senate into bipartisan hands, Kelly’s loss will likely undercut efforts of conservative Republicans to consolidate power. Democrats and Republicans alike will continue to have to wait for an outcome in the race for House District 1, which was held by Kawasaki for six two-year terms. Republicans have claimed a 21-member majority in the 40-member House, but are relying on LeBon’s victory for that number. Regardless of the final count next Wednesday, the House District 1 race is almost certainly headed to a recount on the state’s dime. State law covers the cost of a recount if a race is within 20 votes or a 0.5 percent margin (which would be about 26 votes in this case). Candidates would otherwise have to make a $2,000 deposit for each district (refundable if the recount changes the winner). Recounts must be requested by Nov. 28. 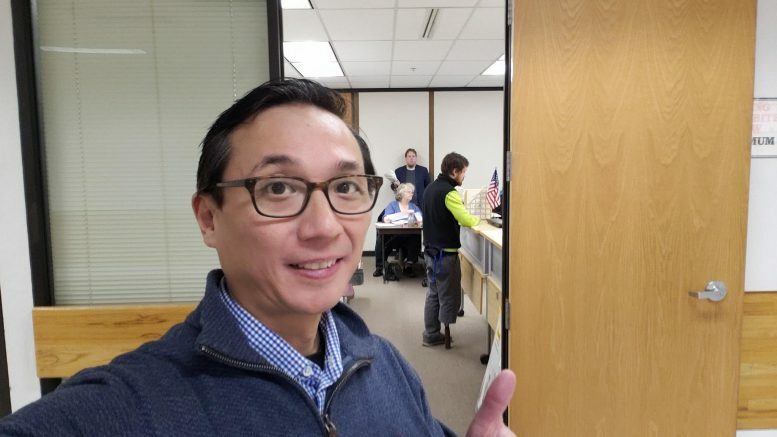 3 Comments on "Kawasaki seals victory ­­­in Fairbanks Senate race, House race likely headed to recount"
Pete Kelly needs to request a recount!! I just can’t believe we have lived in this LAST FRONTIER STATE to get away from the Democratic idea’s from down in the lower 48!! Where is there to go to be free?? ALASKA is becoming just like the lower 48!! The more it does, and with the cost of living here for almost 40 years we are really considering that we might as well move back down to the lower 48…DON’T BURN WOOD?! DON’T USE FUEL OIL! DON’T BURN COAL AND THEY DON’T WANT NATURAL GAS!! INJECT CITY TAXES, RAISE HOME OWNERS TAXES…TAKE THE DIVIDENDS!! DO YOU REALIZE HOW WE DEPEND ON THE DIVIDENDS JUST TO BE ABLE TO STAY WARM? AS FAR AS WE ARE CONCERNED, THE LAST FRONTIER DREAM DOES NOT EXIST ANY LONGER! SO WHY STAY HERE AND SUFFER?? HEART BROKEN AND OLD!! So glad for the New senate Democrat from Alaska. Gawd, finally voters chose the better candidate! Yay. Buybuy Kelly.